Make your dog's food more appealing with the delicious flavor of cheese. These flavored dog food sprays make dry dog food enticing to picky eaters. 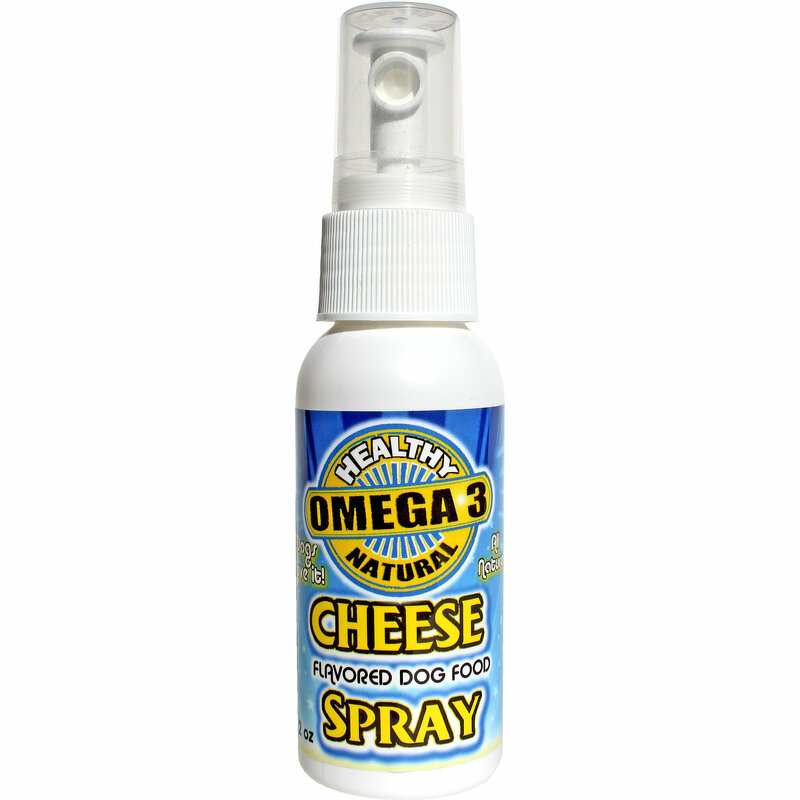 Easy and convenient to use, this spray is light and so appealing to dogs. The formula includes a blend of USA-made natural flavors, seed-derived natural oils rich in Omega 3 and Omega 6 fatty acids and Vitamin E to improve and maintain your dog's healthy, shiny coat. Each spray has a 1 year shelf life and does not need to be refrigerated. Having a picky dog can be frustrating and may cause pet owners to worry their pets aren’t eating enough. At VetInternetCo.com, we frequently receive questions from customers asking how to encourage their dogs to eat more. Fear no more, because these flavored sprays will have the pickiest of eaters begging for more kibble!